After the release of OnePlus 5, 3 and 3T users might think that the oneplus may have forgotten them, but that didn’t. 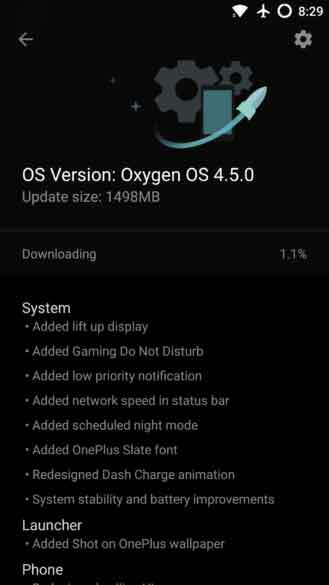 yesterday, the two phones were updated to Oxygen OS 4.5.0, with lots of new features like “lift up display,” Gaming Do Not Disturb, low priority notifications, and OnePlus’ Slate font. All these features were already available on the OnePlus 5, but it’s good to see that Oneplus is not letting down their older hardware.